The Lesson From The Fake. 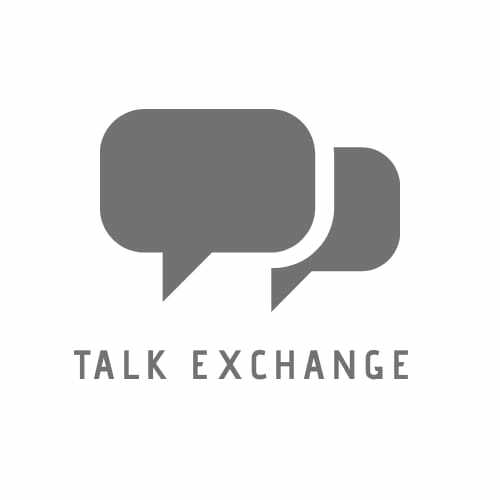 – Talk Exchange..! The Lesson From The Fake. Was it Fake? How can people be Fake? Why are situations Fake? Why do people Fake emotions? These questions strike our minds when we, unwillingly, have to get over people, let go someone important to us or have to believe in something fake. After a certain age, we simply start being social, believe in something or someone we should not and then face the consequences of our actions. When we get into the phase of blaming ourselves or the situations or the people we trusted, the only thought is, Were all of them just wearing a mask? Of course, No! There is no scope for doing so. You’ve done it already and there is no point in regretting your past because at one time that was exactly what you wanted. So, instead of thinking about all of your undeletable actions as mistakes, why not think about them as Options? An option that you actually experienced, felt, understood and did not like. An option that you just maybe dumped. See, it’s very easy to understand this. People’s behaviour, their actions, their fake emotions or the situations are not in your circle of control. You are no one decide how people should act, speak, feel or live, but your actions, speech, feelings and life is completely in your hands. You can dance on the tune you love but you definitely cannot make others like the same tune. So, their action of faking emotions or faking their character is something which you can’t control but your response towards them is totally your choice. It is you who decides how much should it affect you mentally. It is a bad news that people can be fake and these Fake people are sure to enter your life at least once but the good news is that Fake things are an important part of your life. Without experiencing what bad is you cannot understand the value of the good. You will realize the importance of truth and love only once you’ve felt the false and hate. To feel loved you have to know what is it to feel hated otherwise you would not even realize that you are been loved simply because you don’t know the difference between the two. So, if you have been caught into all these fake things, fake people and their fake emotions, then do not ever think about it as a mistake. Only because you have been through all the misery, you are able to appreciate the pleasures of life. Just because someone taught you, what fake is by giving you pains, you are able to understand, what genuine is. If you have a desire of owning true things, you will get your best lessons from experiencing the fake and the false. The Hate that tore you apart will give Love the reasons to embrace you. Thanks yaar. Sorry for the late post. It is fake at this age how some one can think so deep. Keep it up it’s really extraordinarily written keep writing like this. Very good written indeed.. Nice clarity of thoughts and also very apt selection of the background images.. Perfect! Thank you very much dear Teacher.. Thank you so much guys for your support. “Fake” has to be left behind!! Let go of past n move ahead..
Good subject chosen, need of the time.. very well written. Hope to read more from you! The maturity and depth of thoughts on your posts is really amazing ❤️👌🏼 Cheers!!! Hey Addy..! 😊What a cool name buddy!.. Where are you from? I’m from Mumbai. And you? Mumbai’s a great place.. My Future Education city! That’s great! What are you planning on studying here? Dont know exactly.. But wanna go in for BSc Finance so lets se.